Nightmare King: Oooo, pajamas do scare me so! Ha Ha Ha! "Little Nemo: Adventures in Slumberland" (aka. 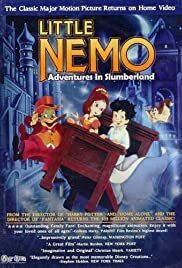 Little Nemo: Dreamland no Daiboken) is quite a fun Euro-Anime film. It also spun off a video game based on the movie and it is a good film for those whom don't really remember or never heard of McKay's original comic series. It is about a young boy named Nemo and his flying squirrel going on different dreamlike adventures, some of them having different results of their own. Sorry, I just don't feel like spoiling anyone today. I swear, I cannot believe this film bombed outside of Europe and Asia, because it was "un-Disney like". 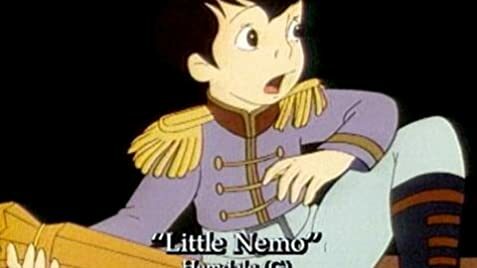 Yeah, well, that is why Little Nemo is good. Alot of Disney's (recent) works are so sappy and sweetsy, like syrup on sugar on saccarine. Kind of like an unberable sweetness. Anyways, check this movie out. You will be doing me and others whom remember this film a favor, and PLEASE put it on either DVD or VCD, with also the original Japanese and French tracks too! PS. Did you know that Brian Froud, Moebius and Hayao Miyazaki all worked on Little Nemo? No wonder it is so great!